All of the times you felt this anxious and this overwhelmed. All of the times you felt this level of pain. And remind yourself how each time, you made it through. 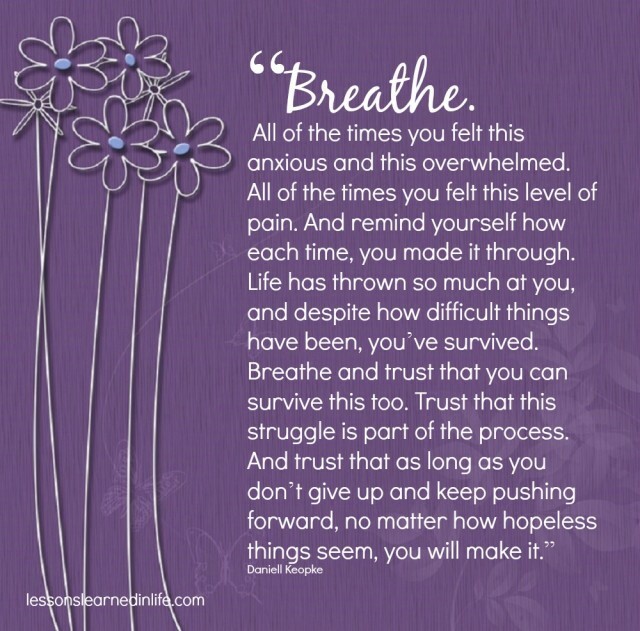 Breathe and trust that you can survive this too. Trust that this struggle is part of the process.